What a wild year 2016 has been! And now that it's coming to a close, we can take some time to look back and reflect on the best of the Tableau Public world from the past year. It's time to unveil the top 5 vizzes of the year as chosen by you! We counted down our favorite 25 vizzes from a year of Viz of the Day winners. And from that pool, you, the community, voted to select your favorites. We've tallied the votes, so, without any further ado, here are the winners! 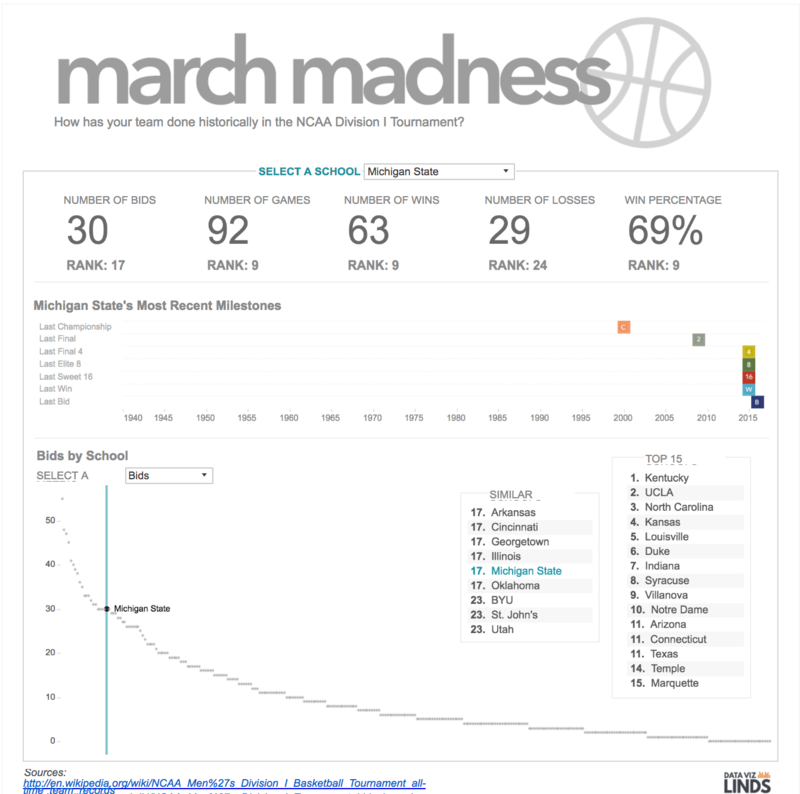 Lindey's viz helped people fill out their March Madness brackets. 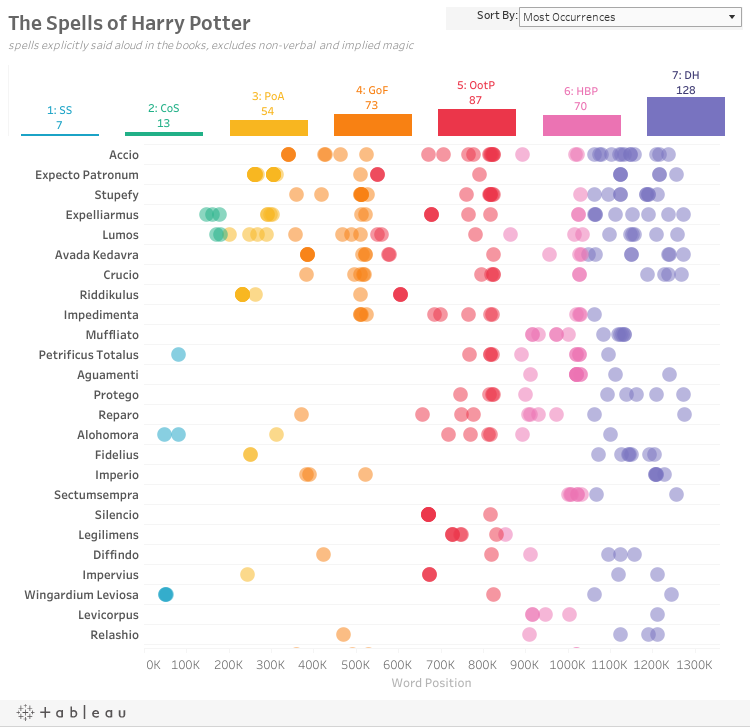 Skylar visualizes one of the pop-culture phenomenons of our time in a novel way with this engaging dashboard that draws you into the magical world of Harry Potter. Adam uses his Tableau design skills to create a truly captivating tribute to the Beatles, showcasing nearly every aspect of the band's monumental achievements in one dashboard. 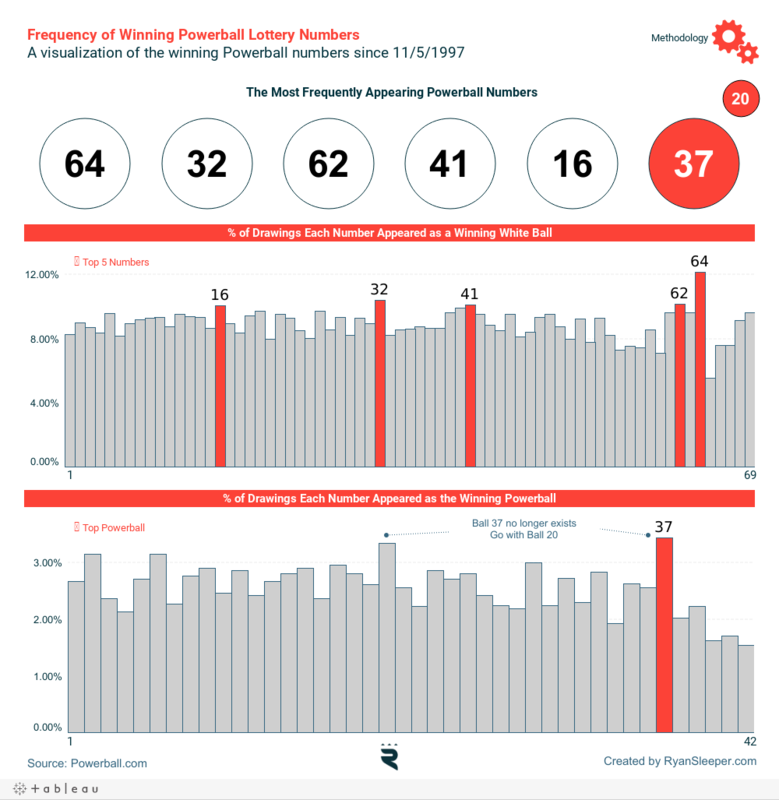 Ryan captures a phenomenon–the billion-dollar Powerball jackpot–in one simple and elucidating dashboard. 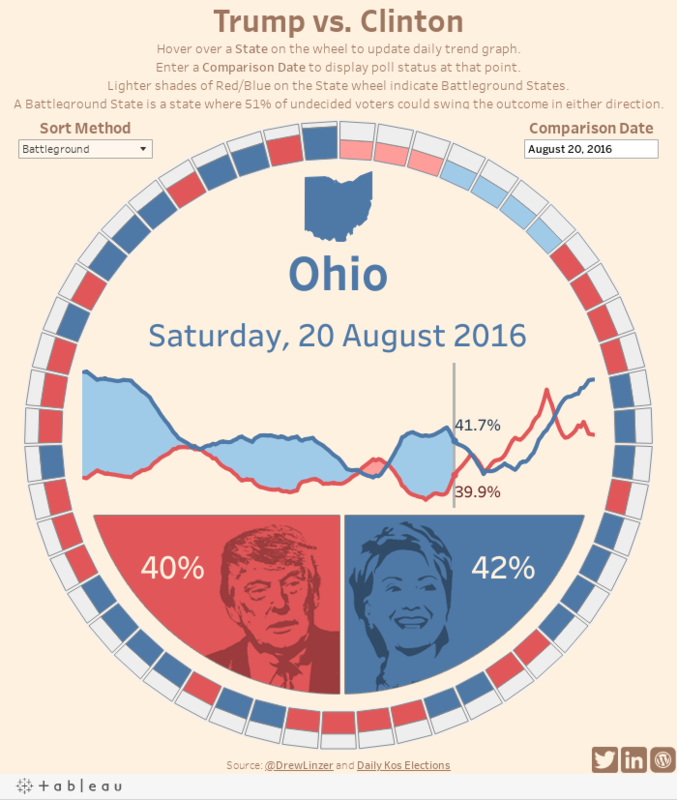 Ryan visualizes the biggest data story of 2016, showing, with the gift of hindsight, how even the most savvy data-driven projections can be misleading. Congratulations to all of our winners! The Tableau Public team is excited to see what kind of inventive, informative, and interesting data visualizations our wonderful community comes up with this year. Cheers to 2017!